Are current road bike frame geometries outdated? If we look back over the last century nothing much has changed to a bike frame’s design other than the materials used for its assembly; the frame’s geometry and tube lengths have largely remained unchanged since the 1950’s. 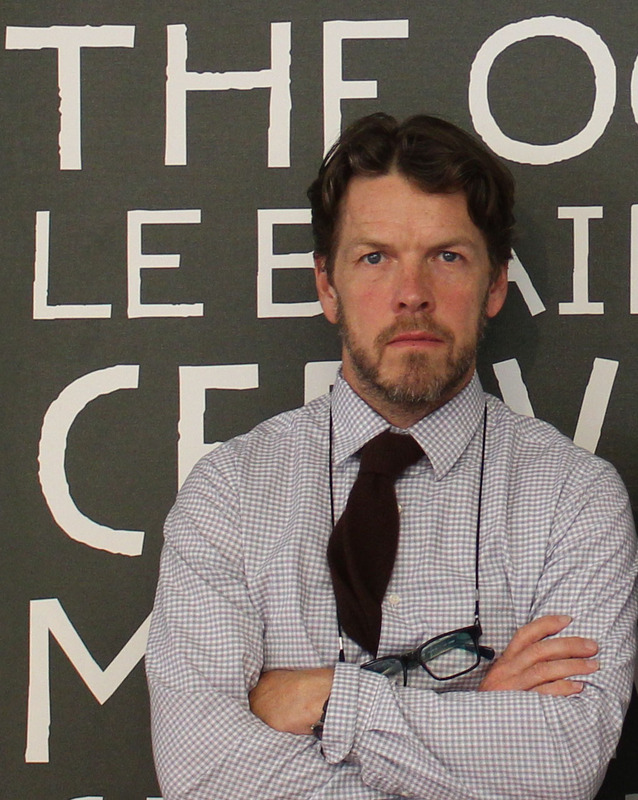 Phil’s Journal post ‘Humans did not Evolve to Ride Bikes' is worth a read on the subject. Bikes do look very different now but that is mostly due to their construction from moulded carbon. If we take the average 56cm or 23” frame many manufacturers will use a 73 degree seat angle and 73 degree head tube and a fork rake of between 4.0cm and 4.7cm; head tube length and top tube length will vary depending on the bike’s use, longer and lower for racing, higher and shorter for longer endurance rides or less athletic riders.bernard Hinault who won the Tour de France five times will be riding a frame of similar geometry to Chris Froome who is currently attempting the same feat. The majority of bikes at this size are supplied with a 2cm setback seatpost to give a saddle set-back of around 7cm to 8cm. We rarely fit a rider so far back now and often fit riders to larger frames with only a 5cm set back.These frame proportions are based on an antiquated notion of bike fitting from God knows where, it’s one of those things that happened before anyone wrote a book about it.There is a lot to talk about re frame design but I’ll try and focus on seat angle, top tube and stem length for now. When Phil and I started our bikefit training in 2001 with Ben Serotta and his talented team of instructors (who all went on to become very well respected bike fitters, consultants and innovators in bike fitting for large bike companies (Scott Hultz - Specilaized) Todd Carver founder of Retul, Paul Levine (Signature Cycles and Specialized consultant), Paraic Mcglynn (Cyclologic and Trek Precision Fit consultant) , Chris Jacobson (SICI) and Chris Kautz (Guru/Cannondale) we used a plumb bob (we have to hide these in our studios now, otherwise we would be regarded as luddites and have to use a lazer instead) to set the fore and aft position of the saddle. We would locate the tibial tuberosity (the bony bump just under the knee cap) vertically over the pedal axle with the cranks horizontal and the foot in as close a ‘position’ as we could get to the rider’s pedal stroke. This would help us locate the saddle position; the femur length was the driver in this process with a little bit of input from the foot and lower leg’s dimensions. On our Serotta Sizecycle this process would allow us to read the seat angle off the rig, we would use the actual seatpost and saddle that would be used on the bike so when a frame was designed everything would fit properly; once seat angle and saddle height were established we would adjust the reach and drop of the handlebars based on the rider’s size and flexibility. We would encourage the rider to sit with a straighter back to engage the glutes which would invariably mean a shorter more upright position to keep the hip open. Reading off the jig and using Ben’s excel spreadsheet (that we still use for frame design to this day, if Ben had made only the one contribution to cycling then this is certainly it and its worth including in the Cycling Hall of Fame) we could then design a bike that proportionally represented the rider giving them a comfortable and efficient position balanced between the wheels of the bike for impeccable handling and balance. So short people with shorter legs generally had steeper seat angles (74,75 degrees) as their saddle was quite close to the bottom bracket and big riders had more relaxed seat angles (72.5, 72 degrees) everyone else fell in-between. Keith Bontrager was the keynote speaker at our 2102 International Cyclefit Symposium and he reintroduced our audience to his 'Myth of KOPS' theory an alternative method to balance a rider on their bike to improve their pedalling efficiency and the bike’s handling. Prior to this our colleague Jon Iriberri Custom 4US - the Jose Mourhino of bike fitting and bio-mechanist - had encouraged us to look in to Keith’s theory and experiment in our studios. At the same Symposium we met Daniel and Michael from gebioMized who showcased their saddle pressure mapping system at our 2102 International Cyclefit Symposium. It showed us that a rider could be more comfortable and better supported on their saddle by moving it forwards underneath them without it affecting their pedalling position over the pedals and bottom bracket, nor reduce the reach to the handlebars. We worked more with physiotherapists and bio mechanists who as we all know are obsessed with glute recruitment. Aerodynamics and power meters gave us more information about drag and performance on the bike. A lower torso angle provided a significant aero advantage and shorter cranks didn’t mean a rider would lose any power. Cyclists became more focussed on performance on and off the bike working on their core and flexibility which meant they were able to sustain a more dynamic position on the bike. Our experiments with rider position gave us some great results and we introduced the technique in to our fitting protocol; we still referred to the KOPS (Knee Over Pedal Axle) but now used COGS (Centre of Gravity) as well and we would mark a point on the inferior angle of the scapular as a guide. Cross referencing these two points to position the rider was liberating and effective. What happened to the rider? Move from a jogging position to a running position which is what the body is really trying to do. What happened to the bike? The reach to the bars stayed the same in many cases but the ability to maintain a neutral spine position easily and subsequently longer back meant a longer reach. The handlebars moved further forward away from the bottom bracket in both cases. How does this influence bike design? The front centre is longer (i.e. the front wheel is further forward from the bottom bracket). Assuming the best fitting frame size has been selected it is possible to get a very good fit by adjusting the saddle and handlebar position. 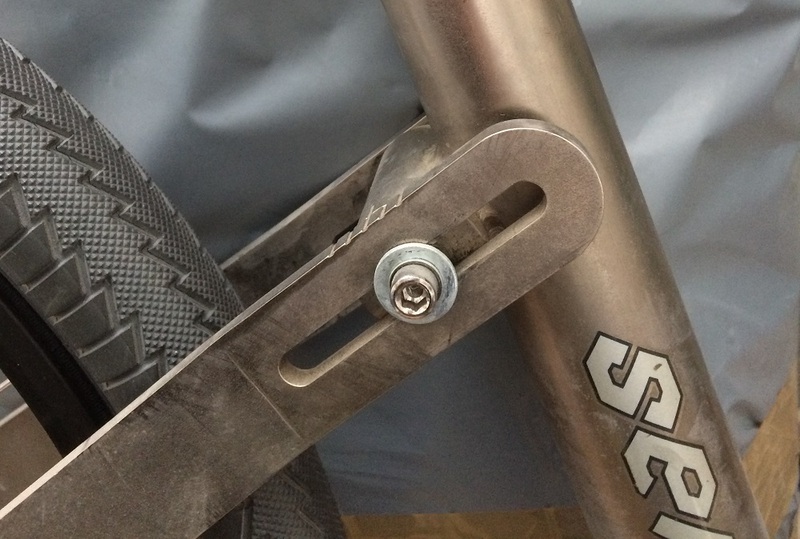 Seatpost setback has to be reduced by using an in-line or zero setback seatpost and in some cases sliding the saddle forward in the rails. Apart from being highly unattractive it moves the rider away from the back wheel. The stem is lengthened and the rider’s weight is forward over the front wheel so the bike is front loaded which can affect handling and control. It is possible to change the frame’s geometry. The frame is designed exactly for the rider, no need for compromise. The seat angle is steepened to fit the saddle in the centre of the rails, we often design a frame for a tall rider with a 74 degree seat tube where a stock frame would normally be a more relaxed 72 degrees. Chainstay length is adjusted to maintain the relationship between the rider and the back wheel. 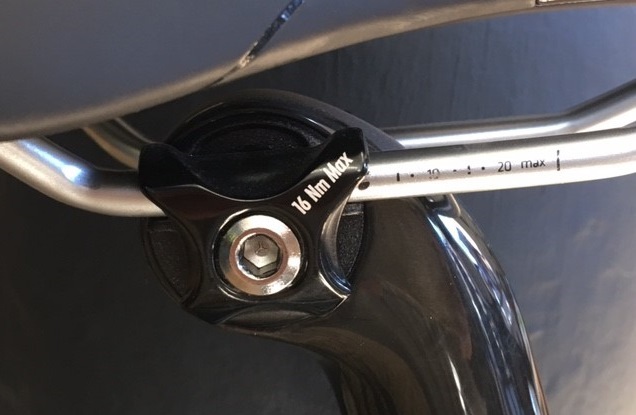 Top tube length and the ‘trail’ (the relationship between the fork rake and head tube angle) adjusted so the rider’s weight isn’t too far forward over the front hub. In a nutshell, the seat tube angle needs to be steeper and the front wheel further forward from the bottom bracket. It isn't a big change, it's just a tweak and most people can ride most bikes, I'm just being finickity. Change is expensive though, it’s all about the cost for the big bike manufacturers, they have decades of bike production, thousands and thousands of happy customers and hundreds of thousands of dollars of investment in the molds that make their carbon frames; why should they change their designs? Which company would be the first to change? Is it worth it? It’s a big risk and if one bike model changes in a range of forty models so must all the others in all the sizes. Maybe on their 'performance' bikes a few changes could me made with a gradual filter down through the range. So what can they (they being Specialized, Trek, Cannondale, Canyon etc) do in the short term to their bikes while the designers stroke their beards and the accountants look at their cash flow? Drop crank lengths down a size across the range to keep the hip and knee angle more open and don’t bother with a 175mm crank on anything. On women’s 44cm and 47cm frames spec a 160mm crank. Easier gears for all of us – even on Dura Ace and SRAM Red – so we can maintain a high cadence with those short cranks on the steepest of climbs. Make saddles that are more comfortable at the front so it is easier to rotate the pelvis forward (this is a major issue for women cyclists and middle aged men). Design forks that can tolerate a higher stack height than 3.8cm (this isn’t really related to the subject but I thought it should be mentioned as head tubes are still too short for most riders). PS. 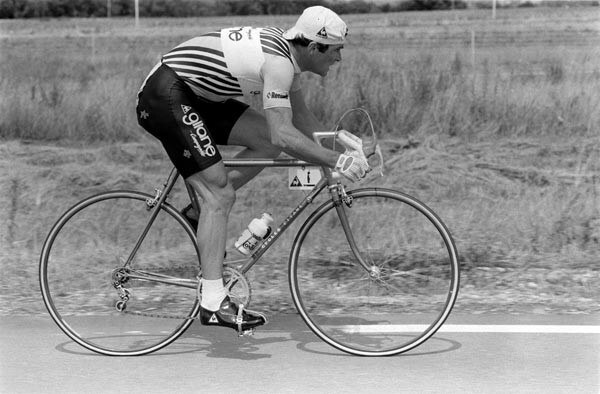 Did you notice Bernard Hinault's saddle height is too high? No wonder he had bad knees.